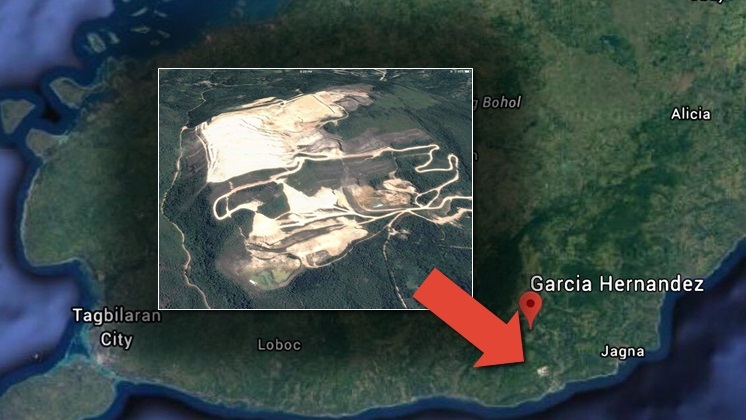 The Bohol Provincial Board (PB) is set to convene itself into a committee of the whole to investigate the wide-scale quarrying in Garcia Hernandez town a month after a concerned citizen’s online statement questioning the legality of the operation went viral over social media. The planned inquiry into the quarrying operations of the Bohol Limestone Corporation was set in motion through the proposal of Board Member Kristine Alexie Tutor who, during the PB’s regular session on Friday, expressed concern over the extent of the diminished vegetation in the area. In her speech, Tutor said that while on board an aircraft, she personally saw the vast bare mountainsides where the quarries are located. Tutor told media that the PB will be reviewing the allowed duration of the quarrying operations and their legality. Legislators will also look into restoration efforts being carried out by the mining firm to mitigate environmental degradation, she said. According to Tutor, the sight of the treeless mountainsides does not fit Bohol’s image as an eco-tourism destination. In September, concerned citizen Juan Lumacang III posted in his Facebook page an open letter to the Department of Environment and Natural Resources (DENR) and Bohol media practitioners voicing out his concern over possible environmental damage caused by the quarrying in Garcia Hernandez. “The once beautiful mountains of the Garcia Hernandez, source of water and life in the locality, are now flattened into an almost airport-size mining field,” Lumacang said. “What benefits have it brought to the municipality and its people? I sure do know these benefits if there is any, are just a day-long benefits, not a long-term and sustainable one. We must not be blinded,” he added. Lumacang’s original 685-word post was shared through Facebook 928 times, while a reposted version in The Bohol Chronicle’s Facebook page was shared 750 times.